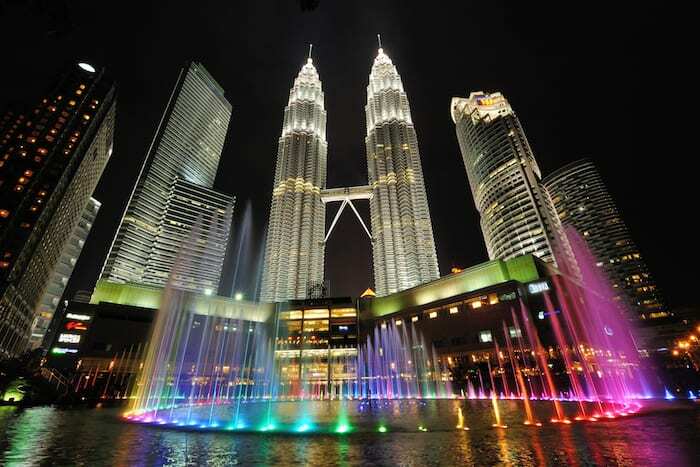 Kuala Lumpur, Malaysia is well known for its Petronas Towers, but it is also an excellent city for expats in Asia. As a kid, I was in awe of skyscrapers. Even at four years old, I would count the windows from the ground level to the top floor. And of all the buildings in the world, the Petronas Towers in Kuala Lumpur were my favorite. To this day, there’s still something striking for me about descending upon these magnificent twin towers. First, you see the glass and metal base, formed into a shape which honors the Islamic influence in Malaysia. Then, you see the sky-bridge connecting both towers. Then, you see the spires. Now over fifteen years old, the Petronas Towers have come to symbolize Kuala Lumpur and are the icon of its skyline. The amazing thing is that Kuala Lumpur isn’t even the region’s largest city — far from it. Yet, it has commanded a sense of respect that comes from having your own record-setting skyscrapers. Kuala Lumpur is one of the most livable cities in Southeast Asia — a title I believe in so much that I established a base in Kuala Lumpur myself. 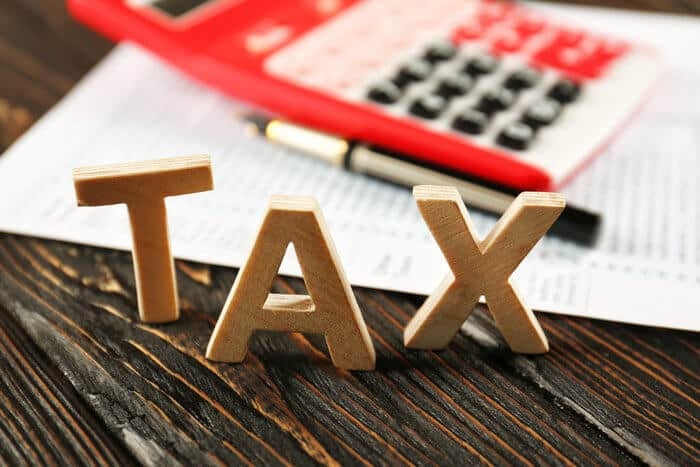 While some say Malaysia has become an expensive country to live in, the reality is that you can live relatively cheaply by Western standards, or you can choose to have a low-tax home and spend as much as you like. At Nomad Capitalist, our goal is to bring the best of the world to you so you can grow your business and your freedom through international living. We are continuously updating our content to empower you with the most current tools for making your decisions about where to plant your flags and enjoy the kind of lifestyle you want. Here is an overview of living in Kuala Lumpur designed and updated for today’s Nomad Capitalist. For those that agree that Asia will own the twenty-first century — and who want to be here to take part in that — living in Asia is an exciting thing. The exotic culture, fantastic food, and interesting people all seem a world away from Western countries … because, of course, they are. However, finding the perfect place to live in Asia can be tough. I’ve long spoken highly of the Philippines, specifically Manila. In addition to being one of the great economic reformers of the modern day, plenty of people there speak excellent English. Plus, the Philippines offers more Western-style amenities than other Asian countries, such as more familiar-looking kitchen appliances. However, some find the Philippines too laid-back. And then there’s the weather. However, overall competence is weak and the place still feels like it’s sitting in China’s shadow. Certain elements of the infrastructure and traffic may be challenging to some people in the long-term as well. And you know my thoughts on Bangkok. While it’s the best-served airport in the region for travel, it is definitely not my cup of tea. I even made a video with my colleague and friend Reid ( Bangkok fan) with our ultimate battle of the cities KL vs. Bangkok ( trying to give you an objective picture here). Kuala Lumpur is, in my opinion, one of the most overlooked cities in Asia for the quality of life without breaking the bank. While it doesn’t have Hong Kong’s glorious never-ending skyline along the water, or Singapore’s streets of never-ending shops, it offers a lot to the Asia expat who doesn’t want to spend $5,000 a month to live in a centrally-located broom closet. Generally, Kuala Lumpur is hot and humid throughout the year. The city has a tropical climate with varying levels of rainfall which bring welcome relief from the heat. There are two main monsoon seasons each year, between October and January, and from March to April. A good dry period to visit can usually be from May to July. Kuala Lumpur is surrounded by mountains in most directions and thus its temperatures are lower than other parts of Malaysia and the region. Temperatures range from around 26ºC (78º F) to 35ºC (95ºF). Light clothing standard for the region should be acceptable, and an umbrella or hat can be useful to shield for hot sun or downpours. Malaysia’s visa policy is very straightforward and offers extensive visa-free access to most citizens of developed countries. My experience and many others’ at passport control in Kuala Lumpur confirms that the immigration officers are some of the most relaxed and issue-free people you will come across as a traveler in the region, including when I traveled on my Comoros passport for the first time. Those who are granted 90-days visa free include all citizens of the European Union (including, at the time of writing, the United Kingdom), Canada, Australia, New Zealand and the United States. Overall this list totals 63 jurisdictions, spanning from Europe to many places in the Middle East and Africa. Moreover, 30-days visa free are given to an additional array of 95 jurisdictions including those holding Hong Kong, Singapore, and Taiwan passports, as well as many ‘Tier B’ passports as well as common economic citizenship choices such as Saint Lucia, Saint Kitts and Nevis, and Dominica. As always, be sure to check up on your country’s embassy website and official documentation for the most updated information on visa and travel requirements. A full summary of Malaysia’s visa policy can be found here. If you’re used to living in the West, you’re probably used to your space. While I’ve come to learn that the five-bedroom, 2500-sqft suburban pads are vastly overrated, I also understand the desire to avoid the 200-sqft modern day huts that comprise the entry-level rental market in some Asian cities. I’ve actually been in 21-sqm condos in Makati, Manila’s central business district. You might as well just get a hotel. In Bangkok, 40 sqm apartments seem to be the starting point. In Kuala Lumpur, apartments are larger. In some cases, much larger. I looked at one building near Raja Chulan monorail stop, just a five minute walk from the luxury shopping and foodie excitement of Bukit Bintang. The smallest unit in the entire building was about 700 sqft, rented for around $750 unfurnished, and sold for about $200,000. Meanwhile, units in that building went up to 1,000 sqft. In neighboring buildings, units were as large as 1,600 sqft with three large bedrooms. Not bad for a condo. Open the newspaper here and you’ll see plenty of 2,000 and even 3,000 sqft apartments for sale and rent. As of today, I have followed my own advice and flag theory and made Kuala Lumpur a base of mine and purchased a property here. As far as Hotels in Kuala Lumpur, whether for short visits or medium-term stays, you can expect to find the biggest international names in luxury here — whether The St. Regis, Mandarin Oriental, or Shangri-La. Other options include the Aloft Kuala Lumpur Sentral and a heritage hotel called The Majestic. 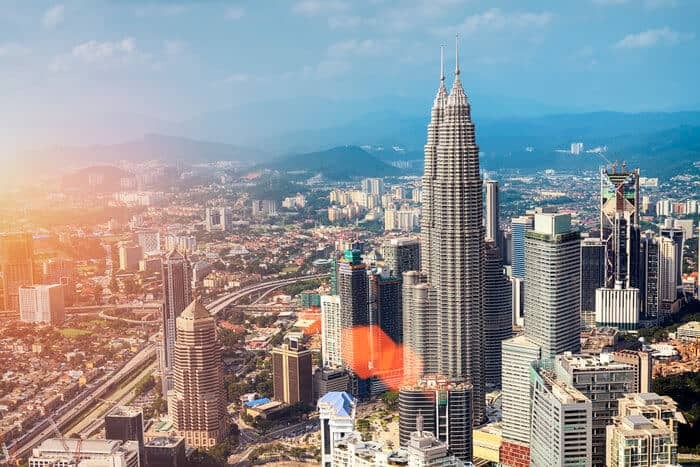 Some of the best neighborhoods for expats include the popular central area of KLCC (Kuala Lumpur City Centre) which is a home of the Petronas Towers, nearby Bukit Bintang and Raja Chulan area with convenient access to shopping and dining, as well as the residential suburb of Bangsar. The increasingly popular “Beverly Hills of Malaysia”, Mont Kiara, is a bit of a drive and requires a car to get there. Avoid areas like Chow Kit known for prostitution and crime. Getting around Kuala Lumpur is easy. The city has more of a civilized feel than many others in the region, in part thanks to a relatively extensive transportation network. The public transportation system is fantastic. I love taking the LRT and Monorail to get around – it beats the traffic! But if you do need a taxi, I recommend using Uber here as it’s super cheap and I have never had a problem with them. Getting to and from the airport — while a rather lengthy journey — is an easy route from the main areas where you’d consider living, including with rail connectivity via the KLIA Ekspres train. Cars in Malaysia, like so many other places in Southeast Asia, are expensive thanks to import duties. I imagine you’d need a car to conduct full-scale local business, but not to merely live here. Kuala Lumpur is also an emerging global transit hub. As the Nomad Capitalist, easy access to international flights is important to me. I don’t want to have to connect four times to get somewhere. While long-distance travel isn’t as easy as it is from Hong Kong or even Singapore, it’s becoming easier. Malaysia Airlines is an airline working towards constant improvement, even if it is part of my least favorite airline alliance, OneWorld. Airlines like Etihad and Emirates offer frequent service to anywhere in the world through their Middle Eastern hubs. And if you’re looking to enjoy the art of mediocrity, KLM has plenty of flights into Europe, as well. Closer to home, Kuala Lumpur is the international hub for discount carrier AirAsia. While Air Asia has gone downhill a bit, it was long ranked the world’s best low-cost carrier. 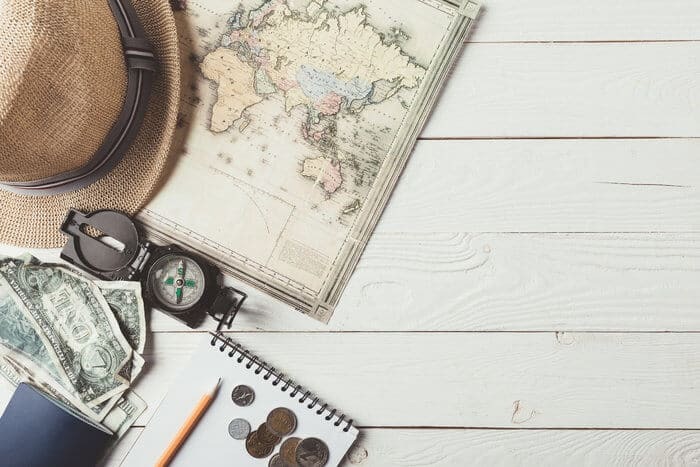 They now fly pretty much anywhere you could want to go in Asia or Australia — all for really cheap if you’re willing to forego bringing your own food on board. However, the service is generally reliable and the airline does the job to get you around the region. Kuala Lumpur offers the nomad a variety of co-working spaces that can boost productivity and make the city a viable part of your living strategy. Spaces include Impact Hub, START near Bangsar, and The Co. and more are popping up as the city expands. Internet speed is decent and reliable enough to get work done online. While not as speedy as some other nomad hubs or more high-tech cities nearby like Singapore or Hong Kong, internet in Kuala Lumpur should not present an issue to your workflow. In addition, it is quite easy to get a cheap SIM card and access fast local data right from the airport or in any convenience store. This is a huge asset to those who need mobile data and lots of it. Public wifi is good, in typical suspects like Starbucks or elsewhere around the city center and popular malls. Kuala Lumpur is known as a gastronomic hub of Asia, and it’s easy to see why. Cuisines range from typical Malaysian to Chinese, Indian, Indonesian, Japanese, Thai, and various Western-style outlets. Malaysia is also known for its hawker stalls, which are stands on the side of the street dishing out aromatic dishes at a fraction of restaurant prices. For fine dining, head to Skillet at 163, rated #1 for European-influenced food; Qureshi Malaysia for Indian food; or Mosaic at the Mandarin Oriental for Malay, Chinese, and international-inspired cuisine. The main spot for street food lovers as Jalan Alor near Bukit Bintang. Petaling Street area is also a favorite for local delicacies. In general, Malay food can appeal to a wide variety of tastes and may be more approachable for Western expats than some cuisines found in China, Thailand, or Vietnam. Nightlife spots include Changkat’s avenue for bars and nightclubs, or many of the rooftop bar’s including Marini’s on 57, Sky Bar and Troika Sky Dining. 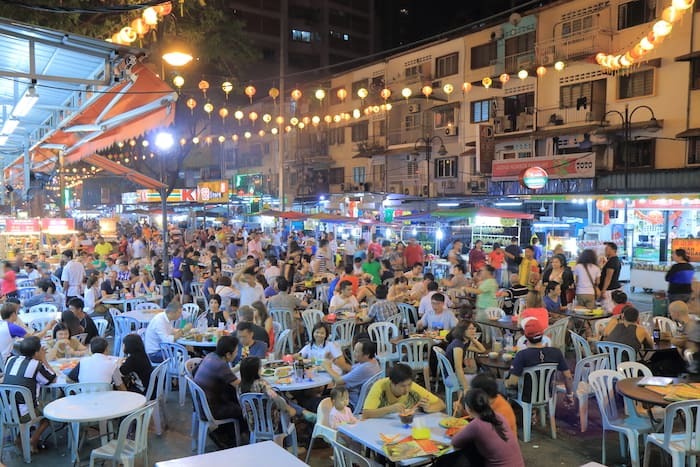 Or explore some of the night markets for a more local adventure and taste into Malaysian life. For those merely passing through or comparing to highly stimulating cities like Hong Kong or Tokyo, Kuala Lumpur may seem less exciting. However, the city offers a lot of things to do for time not spent in everyday routine. Kuala Lumpur is known for its excellent rooftop pools, scattered throughout the cities top hotels and bars. Parks in the city are excellent, including one right by KLCC. There is a vibrant culinary and health/fitness scene that makes living well very easy. Key tourist sites to include on your first visit are the Batu Caves, a nearby natural site with impressive stairs up to a temple; going atop the Petronas Twin Towers; and visiting the excellent malls and shopping districts that put KL on the map. I once called Thailand the “United States of Asia”. It wasn’t a compliment. However, Kuala Lumpur offers a lot of the good sides of the United States. In addition, KL is in our top 10 list of the places with the highest expat quality of life for 2017 Index. Malaysia itself resembles the United States in that it has very modern areas like Kuala Lumpur, and less progressive areas as well. There are still a few provincial areas where adherence to Islam is intense. However, the capital city is about as straightforward as any other. I suspect some Americans would have a bit of an issue living in Malaysia considering there are women here who wear the Islamic headdress, and even a few in full burqa. Kuala Lumpur is a melting pot, though. In addition to the local Malay population, there’s a substantial population of (Malaysian) Chinese, Indians, Middle Easterners, and Western expats. If you move here to conduct business, I believe you’ll have an easier time adapting. To say that Kuala Lumpur is a “Muslim city”, however, would be quite a stretch. Every weekend, you’ll find clubs, bars, and pubs filled with locals and expats alike imbibing the night away. And while many food products here are halal, you can easily find pork products. Yes, alcohol is a bit expensive here. However, compare Kuala Lumpur to Singapore and you’ll quickly realize it’s not as expensive as it’s made out to be. Crappy bottles of wine can be had for as little as about $12 at an upscale supermarket. Mixed drinks in stylish bars like Skybar at the Trader’s Hotel (overlooking the Petronas Towers) run about $9. My costliest drink of all time was and still is the $61 concoction I had with some bankers along Singapore’s Collyer Quay. I think that, in pure terms of luxury versus cost, Kuala Lumpur offers the best value opportunity in all of Asia. It is, in my opinion, one of the world’s best food cities. It’s got luxury malls like Suria KLCC and Pavilion Mall that offer access to the world’s best brands (although import costs make such goods expensive compared to Europe). And it’s got enough greenery and things to do to make it a really livable city. Where else in Asia can you live in a world-class city near Western-friendly amenities for less than $1,000 a month in rent? Compared to some Asian markets, Malaysians enjoy incredible access to capital at reasonable prices. At 6% over 25-35 years, that same rental apartment wouldn’t cost you much more to buy once you’re ready to take the plunge and start living in Kuala Lumpur. Combined with great value on a practical side, Kuala Lumpur offers an enjoyable lifestyle that is important to someone seeking a sustainable Nomad Capitalist lifestyle. With great food, great transportation, and great cityscape, be sure to check out this Malaysian gem as you decide how to build your own ‘Plan B’ and plant your flags in this exciting region. I been to both KL and Penang. I prefer Penang to KL. Its cheaper and easier to get around. Flights out of Penang’s airport connect directly to many places in SEA and the airport is much easier to get to than KLIA. You will often go in and out of Subang (KL’s old airport) if you’re flying just to KL or to other parts of Malaysia. There are many flights between Penang and Thailand. Thanks for the comments, Kurt. KLIA is indeed a pain to get to; one of the biggest challenges for a travel-minded expat living here. As far as Malaysia is concerned I’ve always preferred Penang. In Penang you have a great national park, white sand beaches, great food and a more relax attitude than KL. Kuching on the Malaysian side of Borneo is also a decent choice. It is more “western” than any other city in SE Asia (except for Singapore), everybody speaks English (even older people), there are practically no motorbikes (Probably my biggest pet peeve in Asia) and you are located around some of the best national parks in the world. Thanks for the comments, Simon. Penang is a nice place as well. All true, but don’t forget the climate. If you like to sweat you’ll love it here (and most of SE Asia at sea level); you’ll live indoors with a/c unless you’re at the beach or in the hills. BTW, of course pork is plentiful, the country is not just Muslim, it is also very Chinese. Also Hindu (not that they eat pork :-), and Christians of various ethnicities. The comment on motorbikes is spot-on. A real pain. Thanks Andrew for your article. I’m planing to move to KL and live there for 1 or 2 years. I’ve been there for 2 times and you confirmed my choice. Thanks for the comment, Julio. Always nice to help people find their new home overseas. Hi Andrew very insightful article. I am considering an offer from Petronas which would mean working and living in KL. I am at present working and living in Bangkok. If I accept the offer with Petronas which area would you recommend for living hopefully serviced appartments with good access to to transport and close ish to Petronas offices. Thanks so much for any advice. Plenty of expats in Bali. Not a bad place if you like that environment. Everyone speaks english there regardless of race. You would need to enroll in a private institution like Alice Smith school for example if you are looking for an English education. The local schools are conducted in the local language and not English. if you have Cambodian passport, I think it would allow to live and work in any SEA countries.. and Cambodian passport is the easiest way to get. We lived in KL for 2 years as expats. For the first two months we took taxis everywhere which is relatively cheap but also can be inconvenient in waiting for the taxis. So we bought two cars which are generally expensive. We rented a house in a gated community next to Desa Park City which is a beautiful area. We had a 5 bedroom, 5 bath, 3 story house for 700 US per month. Electricity was about 200 US per month with the constant AC usage. Better than some but not a lot. The US is a nation of broke people. Extremely high. Get an MM2H visa and buy a Malaysian-assembled car with a tax exemption. (They make some luxury brands here as well as Asian brands). US cars would require significant modifications as Malaysia drives on the left (Commonwealth country).